Apart from improving its energy efficiency, A1 Telekom Austria Group also relies on the use of sources of renewable energy. For while the burning of fossil fuels represents one of the largest sources of CO2 emissions in the world, the exclusive use of power generated by means of sources of renewable energy is considered carbon-neutral. A1 Telekom Austria Group therefore promotes the use of sources of renewable energy as well as the implementation of its own projects in this area. This is supposed to increase the share of renewables and lower CO2 emissions. In 2018, 62 % of the A1 Telekom Austria Group’s energy requirements were covered by renewable energy sources. The A1 Telekom Austria Group also operates two major solar parks — one since 2013 in Austria and one since 2016 in Belarus. Additionally, the Austria subsidiary - as the first communications provider in Austria - has been operating its network in an entirely carbon neutral network way since May 2014. For several years now, A1 Telekom Austria Group has been building its own systems to produce renewable energy working with photovoltaics, the conversion of sunlight into electrical power. The A1 Telekom Austria Group’s largest solar park opened in Belarus in mid-2016, spans 41 hectares and has 85,000 solar panels, which produce roughly 27 million kWh of electricity per year. The power generated from sunlight is directly fed into the Republic’s power grid. Thus, the solar power park ranks among the largest in Belarus. The earth station in Aflenz in Austria has been supplied by its own solar power farm, includes a total of 790 modules. Thus, it can produce more than 252,000 kWh of solar power annually and directly feed it into the earth station. A1 thereby further contributes to slowing down climate change and saves up to 90 tons of CO2 annually. 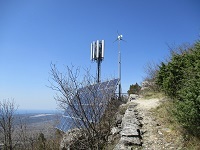 In Austria, Bulgaria, Croatia, Belarus, Slovenia and the Republic of Serbia there are about 100 mobile base stations running on solar and wind power or on hydrogen fuel cells. Hybrid ventilation combines the benefits of natural ventilation with those of mechanical ventilation and uses both systems in accordance with demand. A1 in Austria has been using hybrid ventilation which employs wind power as a natural source of power. The special layout of the rotor blades used by this system yields a suction effect which extracts hot air from the room to be cooled. The result: Even during the hot summer months, air conditioning units need to be switched on up to 50 % less frequently. Thanks to this efficient and energy-saving ventilation method, the power consumption of air conditioning units can be reduced by a total of 75 %.